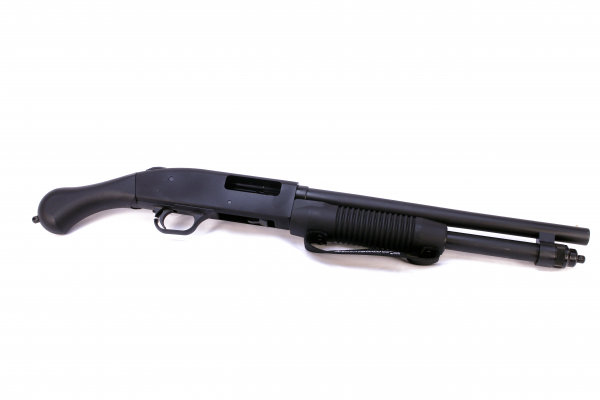 Based on the 590 pump-action design, the 20-gauge version of the Shockwave required an engineering redesign as this is the first time that Mossberg has offered the 590 platform in a smaller gauge. In addition to a scaled-down receiver, the cob-styled, tactical forend was reduced in overall size. 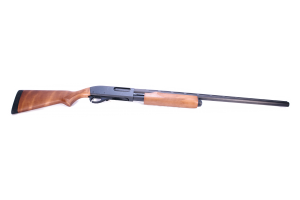 Weighing in at a mere 4.95 lbs, this compact 20-gauge firearm combines the field-proven design of Mossberg’s legendary pump-action platform with the innovative Raptor® pistol grip from Shockwave Technologies; strapped forend for safe, controlled handling; and 6-round capacity.